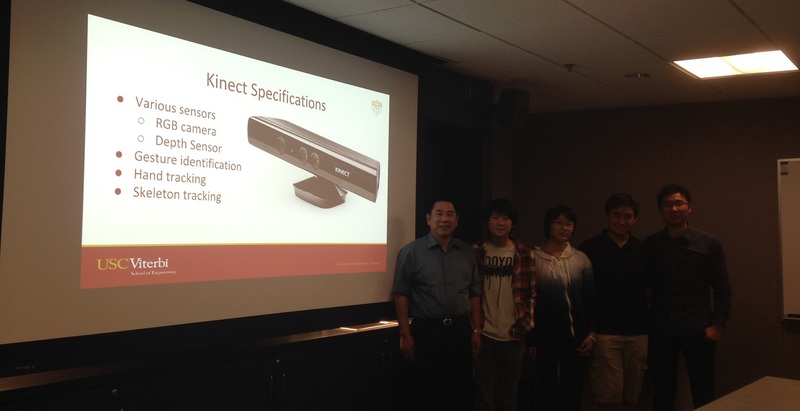 In Friday morning, three high school internship students gave their final presentations about Kinect project and the website they built during the web design mini course. Through the successful and impressive presentation, it also showed the fact that these students surely put a lot of efforts into their works. In addition, after the presentation, their parents also brought homemade Chinese food and joined the group seminar to show their support. Group members all appreciated them very much. 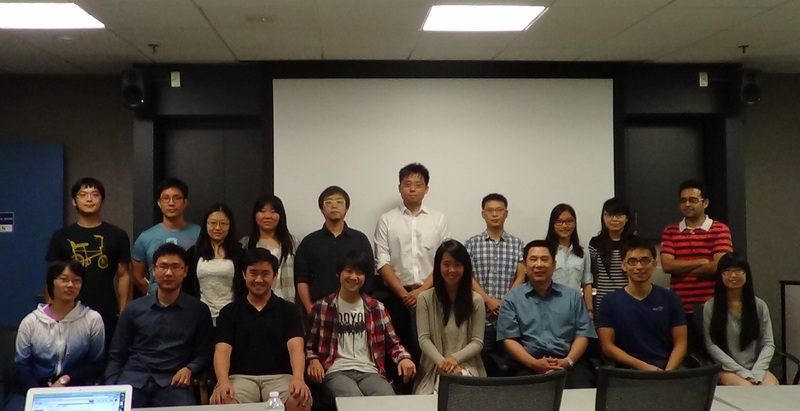 During the seminar, the summer interns also expressed their thanks to the whole team including Weihao Gan and Xin Zhang, who supervised them on the project; Brian Lan and Becky Qiu, who taught them in the web design mini course. They also appreciated Prof. Kuo for giving them this precious chance to come here and teaching them in Entrepreneurship mini course. Congratulations on their achievement and well-done work!